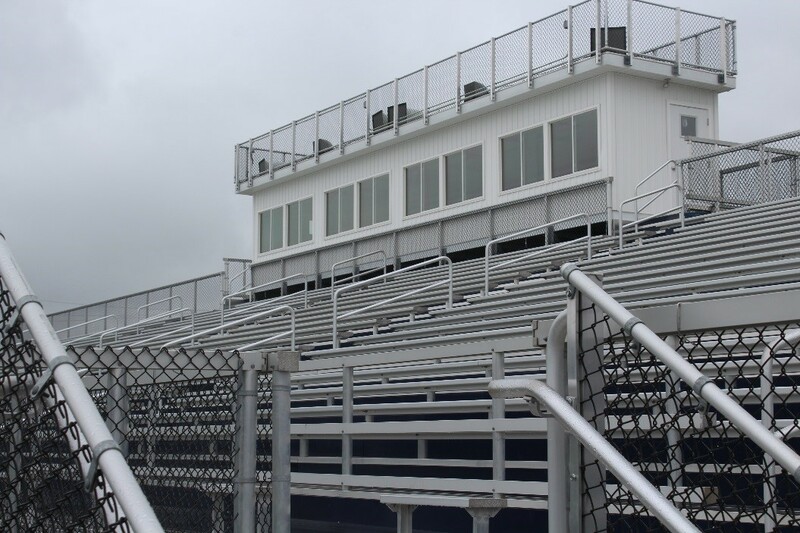 Press Boxes are an integral part of a grandstand that not only provide seating for coaches, announcers and press, but also enhance the aesthetic look of any outdoor venue. Whether you need to replace a press box on an existing grandstand, or need assistance in designing a custom press box for your new facility, Toadvine can work with you to help engineer an ideal solution for your needs. These cost-effective structures comply with all state inspection requirements and are constructed with the quality of conventional buildings.